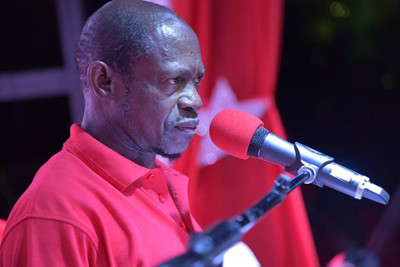 Basseterre, St. Kitts, December 28, 2015 (SKNIS): Evidence suggests that the St. Kitts Nevis Labour Party (SKNLP) Administration, led by the Leader of the Opposition, Dr Denzil Douglas, engaged in corrupt practices in an effort to hold on to power, according to Prime Minister of St. Kitts and Nevis, Dr. the Honourable Timothy Harris. During his budget rebuttal on Monday (December 21), Dr. Harris told the nation that a number of the SKNLP’s campaign schemes were funded by the government, instead of the party. Prime Minister Harris said that shortly after taking office in February 2015, the Government of National Unity found it necessary to fix such atrocities. Citing the example of the Constituency Empowerment Office, Prime Minister Harris said it was initiated under the guise of a “Government Programme”, but used to channel funds with the hope of gaining political mileage. Another case in point, he said, was a walk way area at Bourryeau Estate that was funded by the government, but not promoted as such. According to the prime minister such corruption and impropriety should never be the practice of any government. He pledged the Government’s commitment to providing a fresh start for the citizens of St. Kitts and Nevis, explaining that after only 10 months in office his government had already made significant changes. “I pledge to the country that we will govern responsibly and our fiscal management shall be prudent,” he said.